Circuit Judge, Second Judicial Circuit of Florida, 1993 – 2009. Appointed by Governor Lawton Chiles; Presided in Felony, Civil, Family, and Juvenile Divisions, 1993 - 2009; Administrative Judge, Family Law Division, 2005 – 2009; Designed and implemented Independent Living Court to address needs of foster children after age 18; Designed and implemented Unified Family Court for management of families’ cases in multiple Divisions. Chief Cabinet Aide, Office of the Governor, 1993; Legislation and Policy Development Director, Florida Department of Environmental Regulation, 1991 – 1993; Assistant Attorney General, Office of the Florida Attorney General, 1981 – 1991; Attorney, Legal Services of North Florida, 1979 - 1981. Florida Supreme Court Chief Justice’s Distinguished Judicial Service Award, 2010; Rosa L. Parks Servant Leadership Award, (Florida State University); Rosemary Barkett Outstanding Achievement Award, 2009 (Tallahassee Women Lawyers); Sojourner Truth Award (National Coalition of 100 Black Women); Judge of the Year (Florida Law Related Education Association); Administration of Justice Award, Florida (American Board of Trial Advocacy); Distinguished Service Award (Florida Council on Crime & Delinquency); Children’s Advocate Award (Legal Services of North Florida); Judicial Appreciation Award (Florida Conference of Circuit Judges). Instructor, Continuing Legal Education Courses on mortgage foreclosure, ethics, procedures for high-profile cases, and creation of the trial record, 1995 – present; Committee Chair, Florida Supreme Court Committee on Families & Children in the Court, 2006 – present; Adjunct Professor of Trial Practice, Florida State University College of Law, 1998 – 2009; Foreign Elections Consultant, Nigeria and Liberia, 2005 – 2008; Member, Florida Supreme Court Committee on Fairness & Diversity, 2004 – 2006. 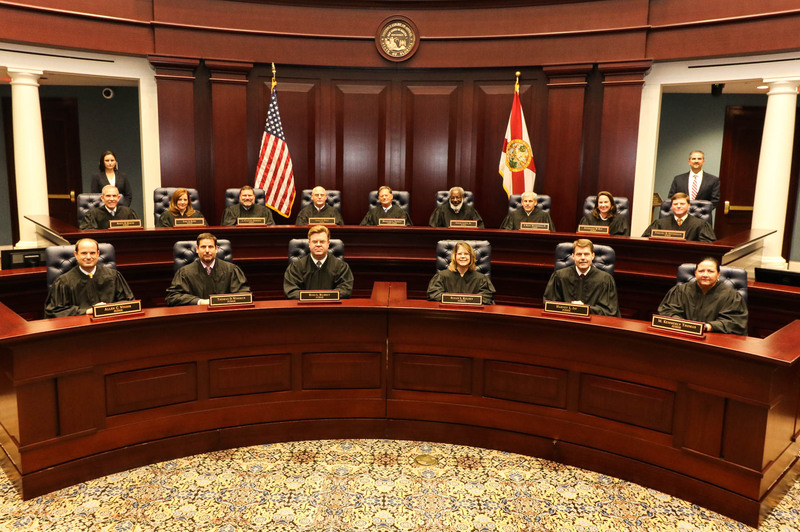 Bar Admissions: The Florida Bar; U. S. District Court of Appeal, Northern District of Florida; U. S. District Court of Appeal, Washington, D. C.; U. S. District Court of Appeal, 10th Circuit, Colorado. Organizations: William H. Stafford Inn of Court; Tallahassee Women Lawyers Association; Tallahassee Barristers Association; Florida Conference of Circuit Judges (former).